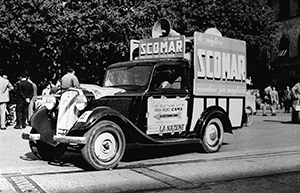 In 1949 two young engineers, Mario Marchesi and Antonio Scoino founded SCOMAR srl to produce automatic flat knitting machines. Mr. Scoino soon departed, leaving Mr. Marchesi as sole partner. Since then SCOMAR has manufactured and exported more than 10.000 machines, with a sales network of 40 Representatives in 5 continents. The shift in the Western textile markets and the subsequent crisis forced the company, renamed Texe srl, to drastically change its strategy. 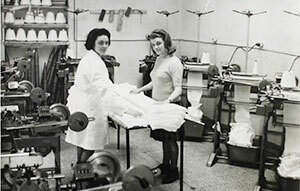 The best way to exploit the company's knowhow was to start producing technical textiles, using the same knitting machines that were assembled by the company. The enthusiasm for innovation is the same of 60 years ago.